If you are a freelancer or a small business owner and you need a work environment on a non-committal basis without the high cost associated with an annual rent package, co-working from a shared space might be what you need. Co-working basically involves you working in a shared office where you are provided with a desk, high-speed internet, a shared kitchen ( or even a restaurant! ), enough coffee, and some friendly but non-competitive banter in exchange for a monthly rental fee. Co-working offices are not a common feature in Nigeria, and they are just beginning to spread across the city of Lagos. 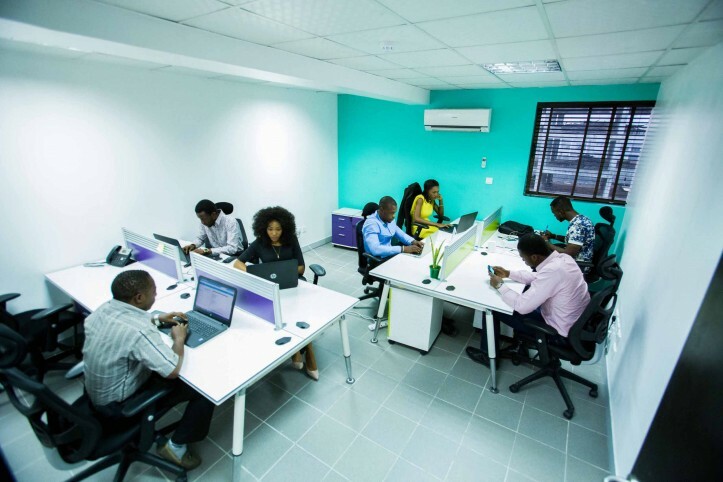 Co-working spaces in Lagos are a new corporate trend and are spread between the mainland and island, offering a creative place to work, meet clients and collaborate. In this article, I provide you with all the locations where you can get co-working spaces and offices in Lagos and as an extension Nigeria. If there are any missing from the list please feel free to comment and we’ll add them to the original post. Here are some co-working spaces in Nigeria with their address and details about each. To make it easy for you to find the co-working space of your choice and the details about it, I have arranged them all in alphabetical order. Click on a letter to jump to the co-working space(s) starting with that letter. Discovery Mall 215 Adetokunbo Ademola Crescent Wuse II Abuja. Ocean Centre 1018 Cadastral Zone B18, Off Oladipo Diya Road, Gudu, Abuja. AEA Complex Plot 74 Zone B15, Jahi, Abuja. Payment Structure: There are four different payment plans here, ranging from N262,500 per year to N2.5 Million per year. The full details can be found on the website. Hours: 7am-9pm (Monday-Friday), 7am-6pm (Saturdays). The Box Office is versatile in the range of working options it offers, which include co-working spaces, private offices, virtual office facilities for those not physically present, and enclosed co-working spaces for teams requiring privacy. Added extras include a conference room, cafe, internet connectivity and uninterrupted power supply. 2nd Fl. The Garnet, Igbo Efon Roundabout, Lekki, Lagos. 114b Ilupeju Str., Dolphin Estate, Ikoyi, Lagos. Opening Hours: Monday – Friday, 8 a.m. – 5 p.m., 24/7 for Private Offices. Flex: Lekki – N2,000 per day, Ikoyi – N4,000 per day. Resident: Lekki – N35,000 per month, Ikoyi – N45,000 per month. Dedicated: Lekki – N45,000 per month, Ikoyi – N60,000 per month. 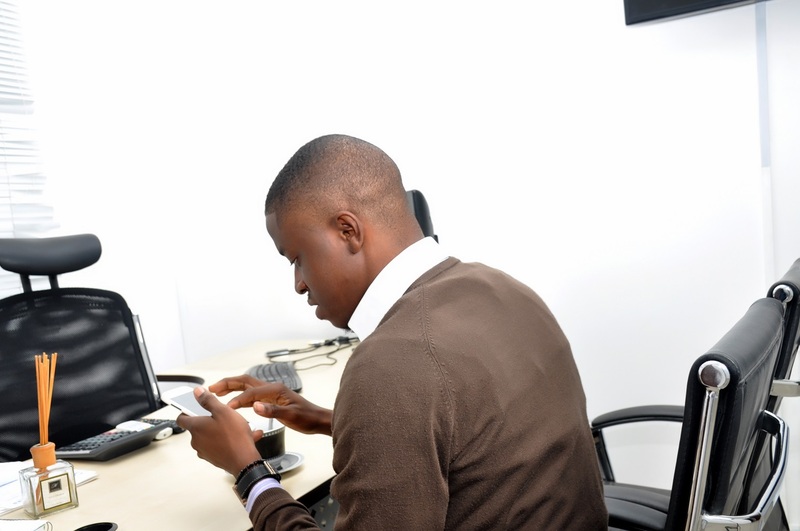 Private Office: Lekki – N110,000 per month, Ikoyi – N100,000 per month. As stated on the website, all monthly memberships require a 3-month commitment and a security deposit upon signup. Launched in 2013, Capital Square is a membership co-working space for professionals who require a comfortable office within a lively community. Location: 6th Floor, 294 Herbert Macaulay Way, Sabo, Yaba, Lagos. Co-creation Hub is a popular co-working space, known as Cc Hub for short. It mainly runs incubator and accelerator programmes but is also a collaborative workspace that admits both individuals and teams. Location: No 4, Barnawa Close, off Gongola road, Barnawa Kaduna. (Opp Giltooe Aris Hospital). 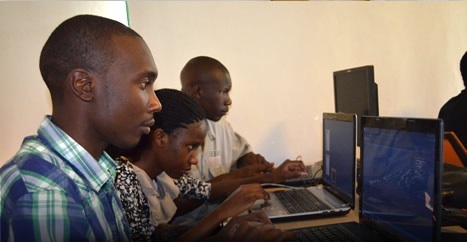 This is a newly-launched workspace which features high-speed internet in the heart of Kaduna. It is quite a new outfit, so if you would like to know more, do check out their websites for updates. Location: 1, Towry close, Off Idejo street, Victoria island. This is a shared workspace for entrepreneurs and small businesses. The offices are covered with glasses, a long desk that can accommodate ten people, and fixed desks for people who have more permanent plans. There is a communal kitchen as well as a dining area that’s perfect for building relationships, either formal or informal. Location: 6, Agoro Odiyan, Victoria Island. It caters to fin-tech startups, providing access to mentors from the Nigerian financial sector. It is a good working space and there is a cafe Neo outlet present there. Each membership plan comes with free cafe Neo coffee and you can apply for their daily, weekly and monthly plans, depending on what you need. Working Hours: Mon-Fri: 8am-6pm, Weekends (Saturdays&Sundays): closed. It is a new working space which provides a unique environment to increase productivity and creativity. It provides high-speed WI-FI, free coffee/tea, air conditioning etc. Location: 296, Herbert Macaulay Way, Sabo, Yaba. This is another accelerator and incubator hub that offers a place for start-ups to work from with no equity commitment. In short, it is a friendly neighbour of Cc Hub. This is one of the three co-working spaces in Africa under the Garage brand, the other two workspaces being in Cape town ( Cape Town Garage) and Nairobi (Nairobi Garage). It’s run by L5Lab in partnership with 88mph, 440Ng, Main one and Google. Location: 1st floor, E-Center, Commercial Avenue, Sabo Yaba, Lagos. This is a nice place to read and work from. The atmosphere is conducive; there are books, WI-FI and coffee. It’s a hub for private intellectual activities. Location: 7, St. Finbarrs Road, Yaba, Lagos-Nigeria. Basic Membership – The highlights here are Fast Internet, Uninterrupted Power Supply and Air Conditioning. In addition, you get unrestricted access to well- established companies, but that’s where it ends. Costs N5,000 per month. Premium Membership – Here you get all the features available in the Basic plan, and more. You will be exposed to a wide range of training in sectors like Social Media Marketing, Graphic Design, Website Development & Management and Basic Video Editing. You also get to choose your own workspace from the available ones. Costs N10,000 per month. As the name suggests, Mutual Workspace affords you the opportunity to work privately in a place free of noise and distractions. With it you also get access to trainings to hone your skills, no matter the industry you are in. Location: There are so many working spaces being offered by NewOfficeAfrica in Lagos and its environs. For the full list, go here. New Office Africa has many locations across Africa, and just as many in Lagos. 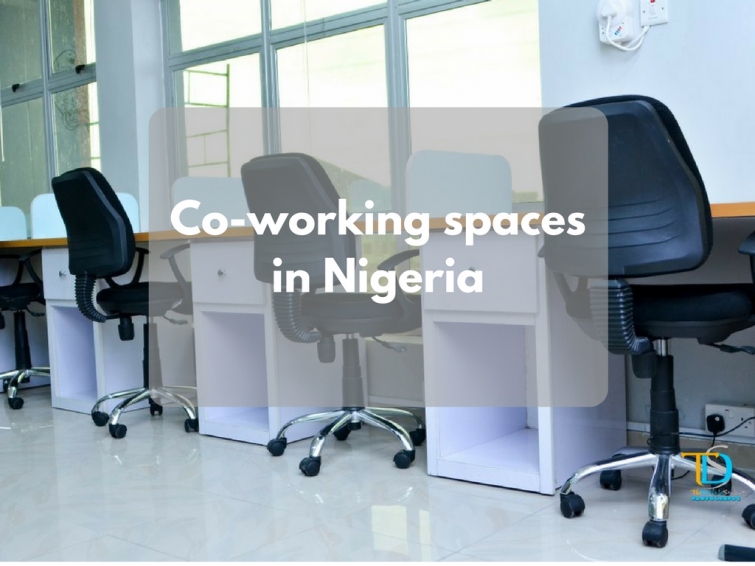 The co-working spaces are located in strategic locations around Lagos that are free of noise and are suited for business meetings and work purposes. Location: 3rd Floor Taen Business Complex, Opp. Former NITEL Office. Old Airport Junction. Jos, Plateau State. Nigeria. Location: 23, Agodogba Ave, Ikoyi, Lagos. Working Hours: Mon-Fri: 24 hours, Weekends (Saturdays&Sundays) : 24 hours. Community Member – Costs N10,000 per month. That fee is just to get access to the newtwork and community; to access other features like physical workspace and mail services, you have to pay extra fees. 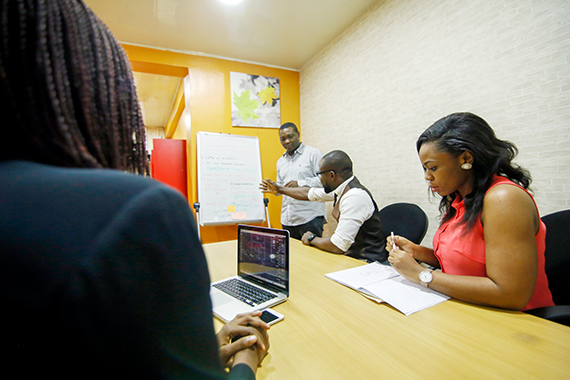 Shared Desks – Costs N30,000 per month. You get access to all benefits but have to share workspace. 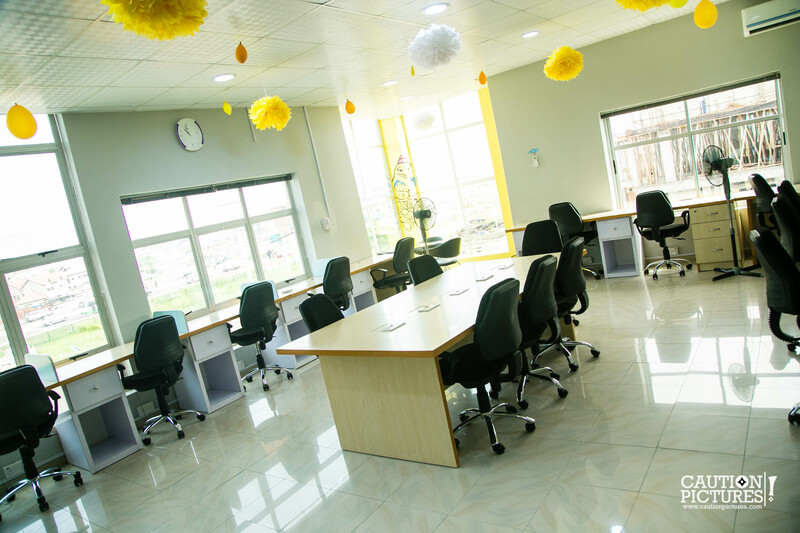 Dedicated Desks – Costs N40,000 per month. You get your own work desk here, but it’s still in an open space with other colleagues. Private Office – As the name suggests, you get your own private office with longer access (12 hours per day) to conference rooms than other plans (2 hours per day). Costs N50,000 per month. It provides the most conducive co-working environment with High-speed WI-FI, swimming pool, Skype Room and lots more. Location: Zeta-Web Nigeria Limited, 32 Providence Street, Lekki, Nigeria. Working Hours –8 a.m. – 6 p.m. daily. Note that this applies to shared workspace plans only; private and executive plans get unlimited access. Hourly – Costs N1,000 per hour. Asides the workspace you’re going to be using (shared, by the way), you get access to free tea, and Wi-fi. You also get free printing and scanning services to some extent monthly. Half Day – Same benefits as hourly. Costs N2,500 per 12 hours. Daily – Same benefits as hourly. Costs N4,000 per 24 hours. Weekly – Same benefits as hourly. Costs N15,000 per week. Monthly – Same benefits as hourly. Costs N45,000 per month. Private – Here, you get the same benefits as the other plans, plus extra space to fit in two to four employees, including yourself, that is. Costs N200,000. Executive – Same benefits as Private but with an extra space for the CEO apart from that for the 2-4 employees. Costs N300,000. Its provides commercial spaces, venue chains and co-working spaces. 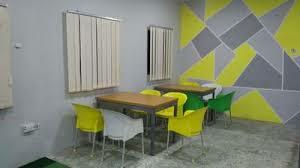 It provides the most conducive co-working environment with free WI-FI, free Tea+Coffee and lots more. Working Hours: Tuesday – Saturday (10am – 9pm) and Sunday (1pm – 7pm). Location: 3, Hakeem Dickson street, Lekki Phase 1. This is a concept store that might appeal more to creators, but there is a co-working area there and they provide the spaces for rent. It’s got a brew bar, a hangout space and a lovely decoration. Location: Plot 1376, Tiamiyu savage, Off Ahmadu Bello Way, Victoria island. It is a restaurant, bookshop, and art gallery, but there is also a co-working space there. It has air conditioning, stable power supply and free WI-FI. The study room, as they call it, is available for daily use and there’s a monthly membership plan. Location: 16, Alfred Olaiya Street, Off Oroleye Crescent, Opebi, Ikeja, Lagos. HUB X: This is the definition of co-working space on TPXHUB. You get your own desk in the ssame room with several others who are also there for the same purposes as yours, and you get the freebies like Wifi and tea/coffee. Daily rate is N1,500, Weekly is N7,500 and Monthly is N30,000. HUB EXEC: This plan is mainly for people who need to host important clients or private business meetings within a short period of time. Hourly rate is N7,000 and Daily rate is N40,000. HUB CON: This plan gives you access to a conference rooom with a capacity of between 10 and 12 people. Hourly rate is N4,000, Half Day rate is N25,000 and Daily rate is N40,000. HUBINAR: You should have guessed from the name that this is a seminar plan. Hourly rate is 5,000 and a Full Day rate is N30,000. Room capacity is 20-22 people. Location: It is located in two areas, both in Lekki. The Providence Hub is at Plot 8, Providence Street (Samsung building), Lekki Phase 1, and the Admiralty Hub is on the 2nd floor, Providence House, Admiralty Way (beside Tantalizers), Lekki Phase 1. Phone – 08098883642, 08099103777, +234 1 295 5888, +234 1 295 6050. It offers more than the normal functionalities of a co-working space. They have venues for board meetings, training and virtual offices. This hub is more suited for entrepreneurs that are in a higher level of entrepreneurship. Location: Ventures Park, 29 Mambilla Street, Off Aso Drive, Maitama, FCT, Nigeria. Popularly known as VP (Ventures Platform), this platform offers a wide range of services. Apart from providing co-working spaces, they offer incubation programs and provide temporary abodes for on-the-go workers. That is not to say that they don’t take the co-working space provision aspect seriously; the expansive payment options available as listed above says it all. Location: 76, Mobolaji Bank Anthony, Ikeja. It is a start-up business incubator and accelerator hub that provides incubation, consultation, and work spaces services. 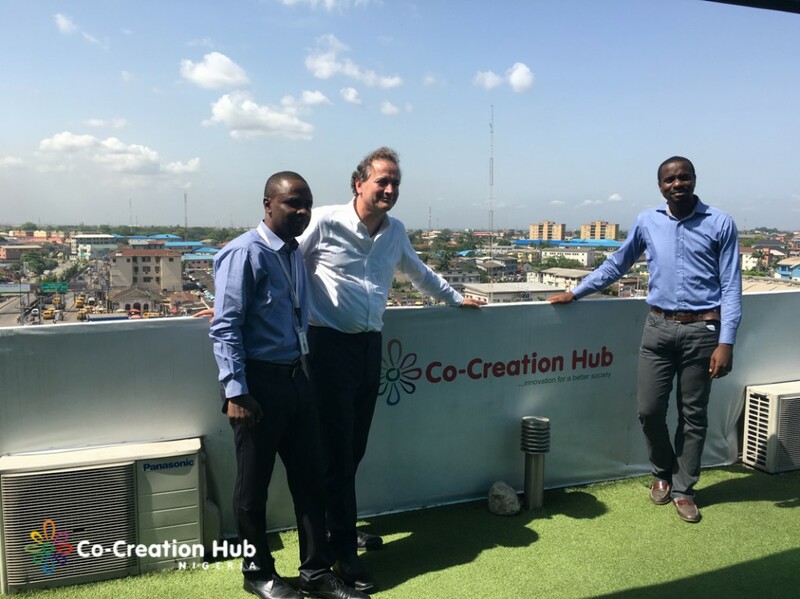 Wennovation Hub is one of the first innovation accelerator platforms to work in Nigeria, and a short while after they launched their incubation program, co-working spaces were added to their list of facilities and services. There you go. 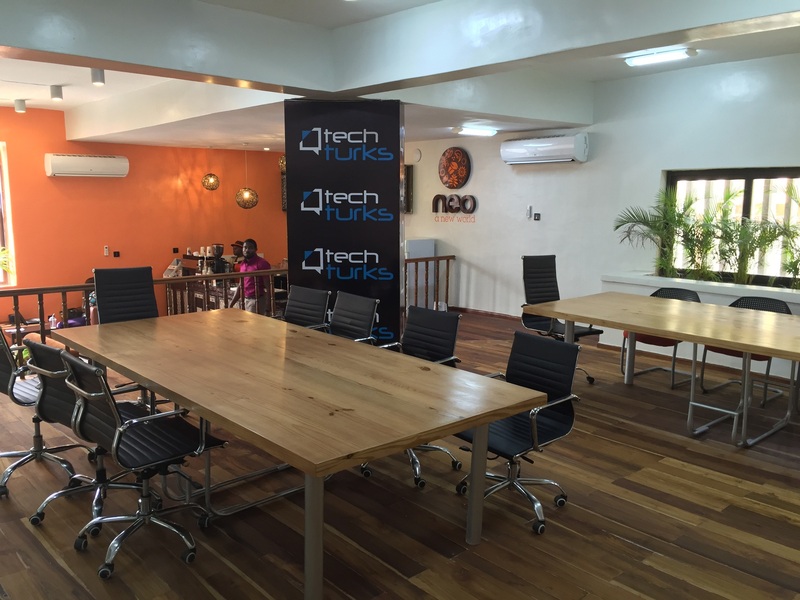 A nice selection of co-working spaces across Nigeria. In case you have questions concerning any of the offices mentioned above, feel free to comment. Fascinated by tech in all dimensions, and likes to tell people what he knows of it. Head Butcher at TechAbattoir. Also develops Android apps. I simply wanted to appreciate you again. I am not sure what I would have gone through without the entire recommendations documented by you about such problem. This has been the frustrating case for me, but being able to see a professional manner you solved it took me to jump over fulfillment. I am just happy for the assistance and in addition pray you are aware of an amazing job you are getting into training the others all through your web site. I’m certain you have never encountered any of us. Thanks a lot for giving everyone such a superb opportunity to read from this web site. It is always so kind plus full of a good time for me and my office colleagues to search the blog a minimum of 3 times weekly to see the fresh guides you have got. Of course, I’m so usually contented with all the perfect knowledge served by you. Selected 1 points on this page are easily the very best I’ve had. I in addition to my friends were found to be taking note of the nice guidelines found on your website while immediately came up with an awful feeling I never expressed respect to the website owner for them. These young men appeared to be as a result stimulated to study them and already have surely been using these things. Thank you for truly being considerably accommodating and for obtaining this kind of nice resources most people are really needing to understand about. My sincere regret for not expressing appreciation to earlier.